Let's see. 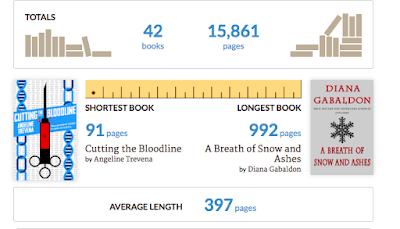 What did I do in 2015, writing wise? Well, let's start with the biggest news of the year: I published a novella! I wrote Pearl, I had the manuscript beta-read, I found a wonderful copyeditor, bought a pre-made cover, and figured out how to code an e-book and put it up on Amazon and other places for sale. I learned about a whole new realm of writing life by self-publishing. And people have bought it. People I definitely don't know have bought it. Whut?! I also put up a Facebook Author page so I could stop clogging up my friends' feeds with writing things. I joined two historical fiction-related groups on Facebook as well. I posted on and read a few author threads on Goodreads. 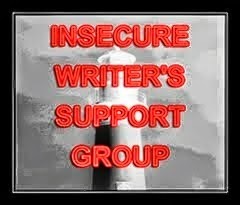 I continued on with the Insecure Writer's Support Group. On AbsoluteWrite, there is now a hangout thread in the Historical Writing sub forum which is super fun as well. So, still trying to make connections with fellow hist fic types. 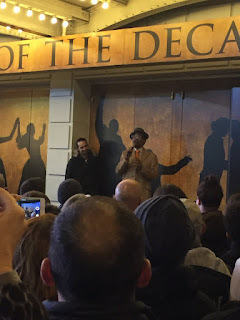 About a month ago we went to see the Broadway showHamilton. And just like she has, I have also become obsessed with the show. Through following the show and creator Lin-Manuel Miranda on Twitter, I've become aware of a sweet treat they provide fans called #Ham4Ham. On certain 2 show days, some of the Hamilton performers (and friends) come outside the theater and put on a mini show in the time between the 2 performances. A few weeks ago, I saw the Broadway show Hamilton and for whatever reason, as it happens every once in a while, I felt so incredibly creatively inspired. And then I came home, read over the short story I've been working on since frickin' September, read my critique buddies' notes, and wondered if I really wanted to salvage what I'd been trying to do. The answer? No. My critique partners had great ideas and great pointers, but I couldn't see a way to get it together in that story. So I decided to try another story idea and although I'm only a little over a thousand words into the first draft, it already feels much better. I'm not sure how much of that is due to getting my creative well filled up via Hamilton and how much of that is due to the idea being a little more in my wheelhouse.